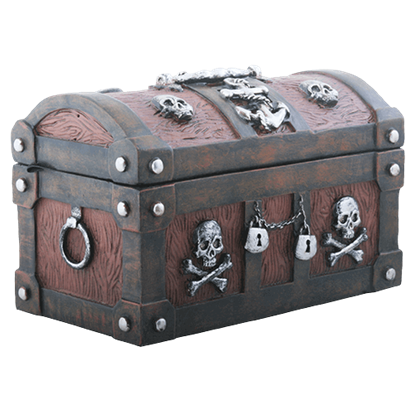 A good pirate knows that the best way to keep their stolen treasure from being stolen back is to put it in a treasure that chest nobody will want to trifle with. 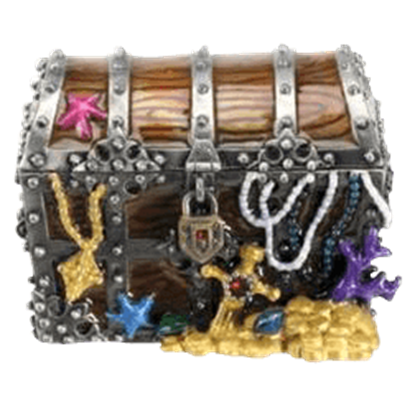 The Jolly Roger Pirate Treasure Chest is sure to keep your trinkets safe. 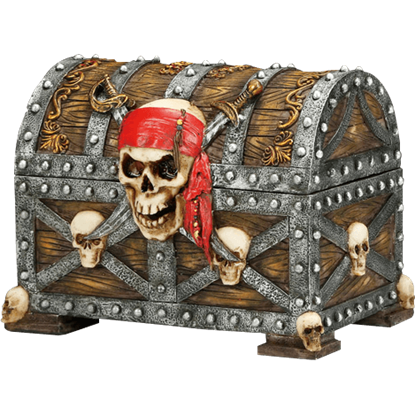 Displaying a pirate skull and crossed scimitars on the lid, this Large Pirate Treasure Box has a functional lock and key for storing your mementos. Shaped like a treasure chest, this handcarved and painted box has a footed base. 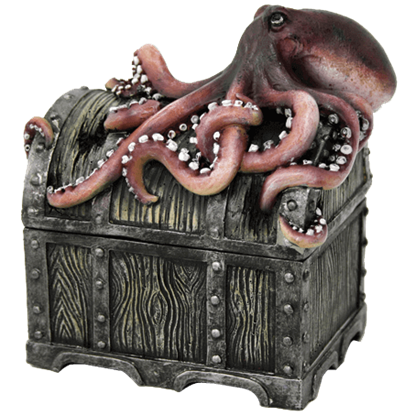 Keep all your hard won treasures safe inside a pirate chest when you store them in the Octopus Chest Trinket Box. This trinket box is hand painted for an antique, metallic look and safeguarded by a fearsome octopus on its lid. 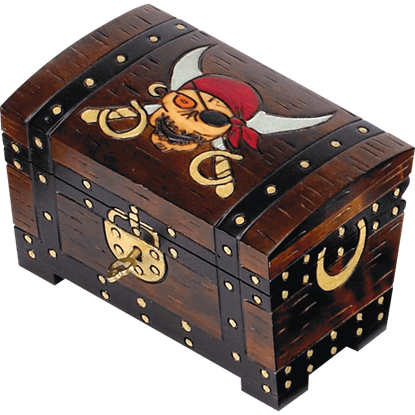 When it comes to storing your treasures, what could be more appropriate than a pirate chest? 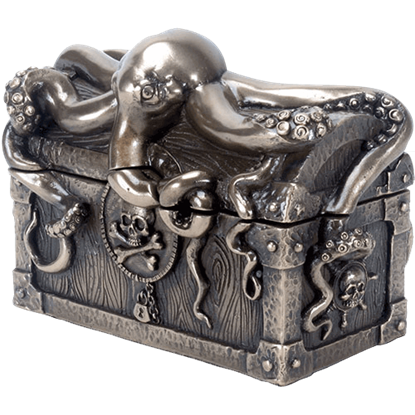 The Octopus Pirate Chest Trinket Box, made of cold cast resin, is perfect for holding jewelry, coins, and other small knickknacks. 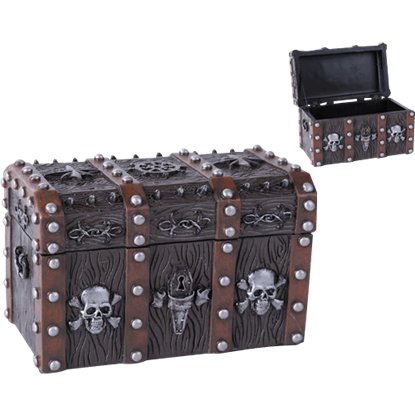 Every sailor knows that treasures are always stored in a safe location, now you can keep some riches close to you with the Pirate Chest Box. This box is overflowing with value and can be a fun accent to your homes current decor theme. 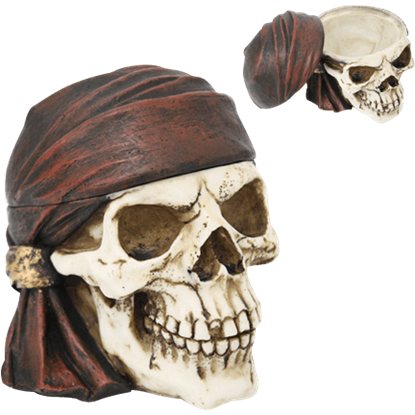 No people in history have valued treasure and trinkets quite like the pirates from the Golden Age. 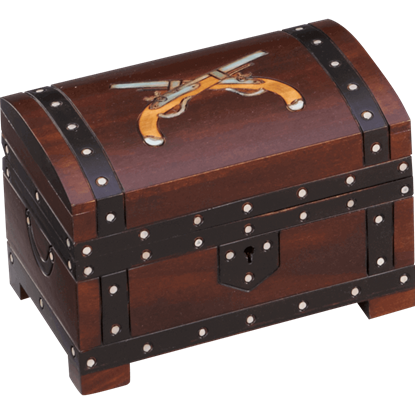 Keep your tiny items safe from harm, unless a pirate happens to mistake the chest for his own, in this Pirate Chest Trinket Box! Ahoy! Found within ye fine designer box be a slew of mighty treasures! 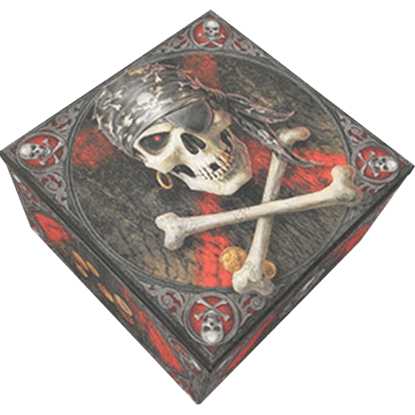 Our Pirate Skull Designer Box by Anne Stokes portrays a replication of Pirate Skull by Anne Stokes on its lid and features pirate imagery on each side. 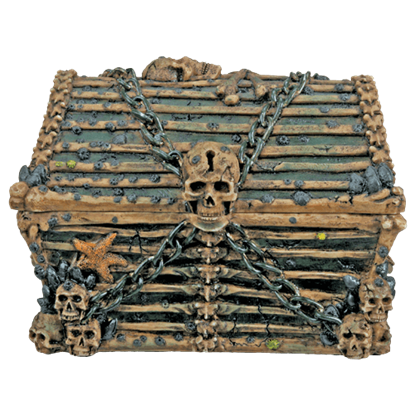 Hungry for treasure, the wicked skull on the front of this keepsake box appears atop a pair of crossbones and gold coins. 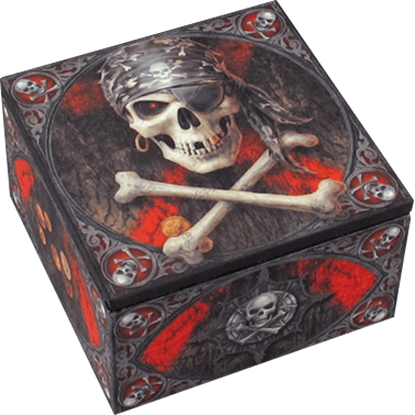 The Pirate Skull Trinket Box features a striking print by celebrated artist Anne Stokes on the front.